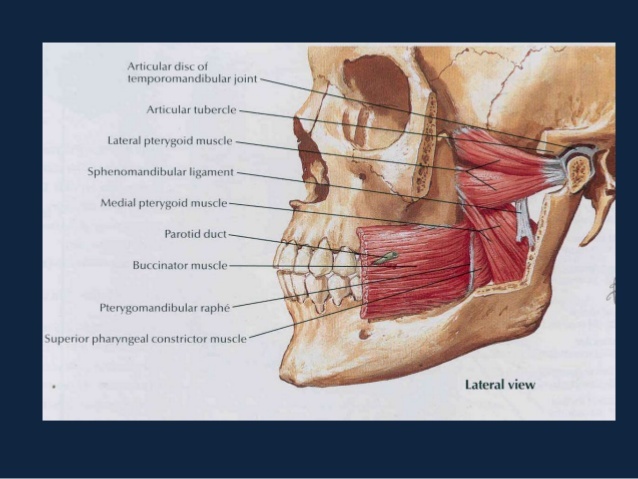 The ‘temporomandibular joint’ (TMJ) is where the lower jaw connects to the base of the skull. The position of this joint is just in front of your ears and it can be felt by opening and closing your jaw while gently pressing this position. Diagnosis of TMD can be difficult due to its numerous causes and symptoms. A systematic approach must be performed by your dentist to rule out all possible causes before treatment can be recommended. Your dentist will normally co-ordinate with other healthcare professionals to prepare a treatment plan so that all aspects of the problem, being physical and/or emotional are dealt with. Patients will be referred to a general medical practioner to eradicate it being a medical problem if it does not appear to be a dental problem. If symptoms are acute eg. very painful, can’t open jaws, these will be dealt with immediately using medication, occlusal splint (see below), and/or physiotherapy. After dealing with the acute symptoms the patient is then treated as a chronic (long term ) case. The following steps are usually followed, dealing with the simplest issues first and eradicating them as possible causes of the problem. 1. All Dental Infections (Abscess, Caries, Gums Etc.) Must Be Dealt With. An occlusal splint is a hard piece of plastic that is made from a mould of your teeth. It is worn mainly at night times but acute sufferers may have to wear it 24 hours a day until symptoms are relieved. The purpose of the splint is to keep your teeth slightly apart. 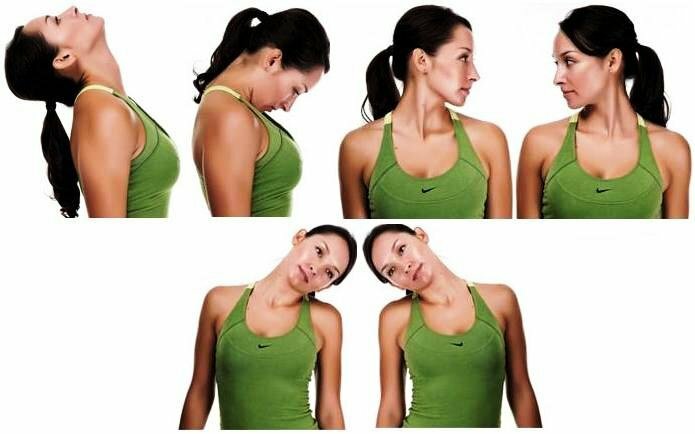 In this position the facial muscles are most relaxed and less tension can be generated than when the teeth are together. The jaw joint is not locked in place with constant muscle tension when the teeth are together. Acute sufferers are recommended to eat with their splint in place until symptoms are relieved. Non acute sufferers are advised of the problems associated with chewing gum, hard diets (eg. nuts, bones) and it is recommended that hard foods are temporarily removed from the diet. 4. Heat Packs Applied To The Area Can Sometimes Give Relief To Symptoms. Your Specilizeddentist can give you exercises to help you relax your muscles. Somebody who is trained in massaging the area can offer great muscular relief. Some medical specialists believe that muscular tension in other areas of your body (eg. 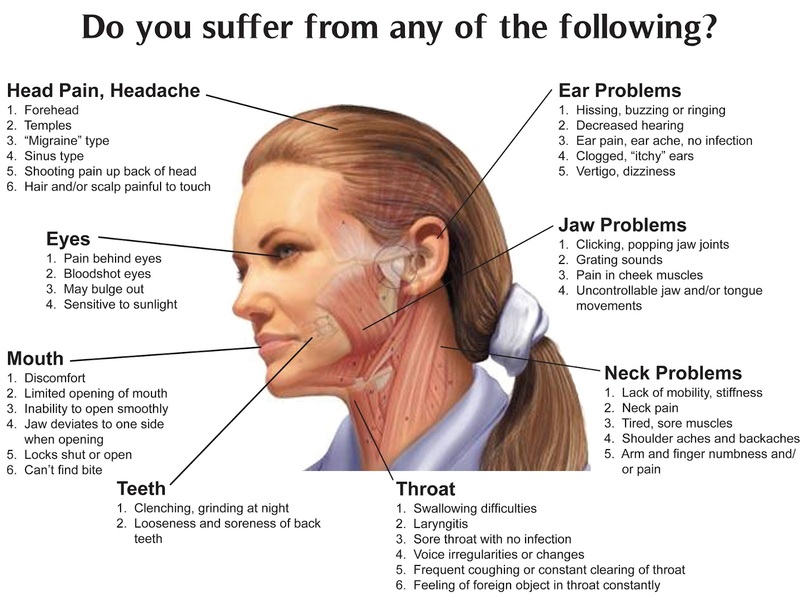 back) can be the cause of your TMJ problem, so a complete body assessment is highly recommended. There are many possibilities, in our modern medical world to help relieve stress, such as; yoga, naturopathic remedies, counselling etc. Sometimes the patient must try several options until they find one that suits them. This is normally the last option and is only recommended once all other possibilities have been used up. A complete treatment plan is the only way to deal with TMD.